Join us for an Interactive Murder Mystery Dinner! Each guest receives a detailed character description ahead of time with background information on the party. This explains how the night is to proceed. Guests get more info and objectives and continue sleuthing as party continues. Guests review evidence before making final accusations. Guests guess the murderer and vote for best dressed, best acting, etc. 8) THE MURDERER IS REVEALED! Investigator reads explanation and host hands out awards. That's it! No pencils. No scripts. No complicated process. And a "real live murder" at the party! The murder is solved by mingling and sleuthing, allowing everyone to participate fully to the extent that they feel comfortable doing so. This sets the stage for much spontaneity and insures every party is kept lively! 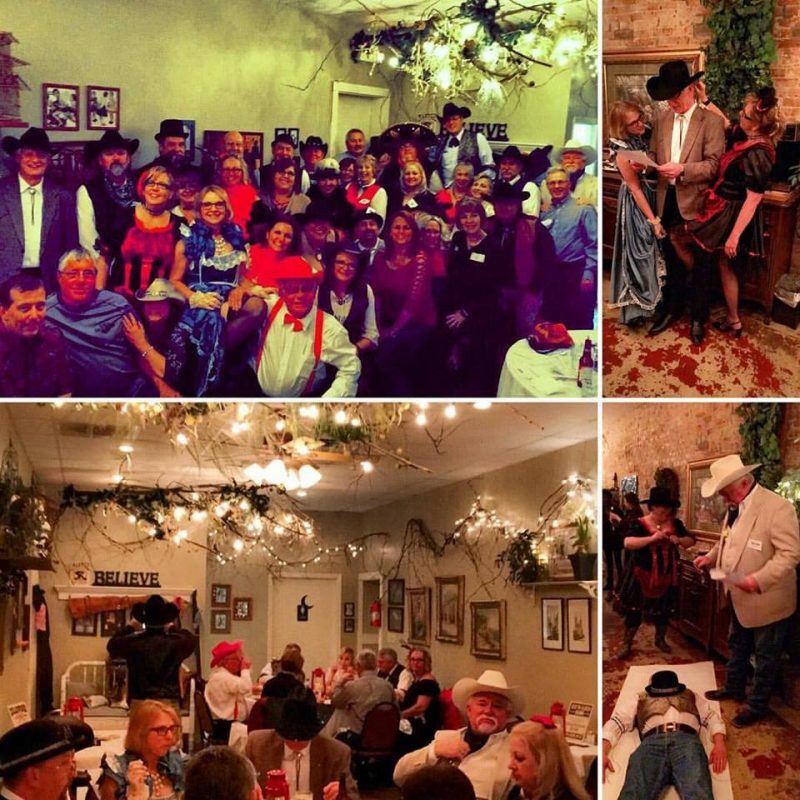 * The price of the Murder Mystery Dinner INCLUDES All Taxes And Service Charges. All guests Must be at least 18 years old in order to attend a Murder Mystery Dinner. Tickets Are Sold For Specific Dates Only. No Cancellations – No Credits. *Please contact Tours@atchisonkansas.net if you have any dietary needs.